Yeah, I use Bing search, shut up! Definitely not what the designers intended. The problem there is that the CSS is just font-family: Arial;. No generic fallback. Using font-family: Arial, sans-serif; would look so much better. On the surface there's nothing wrong because Arial is a "web-safe" font. Except for some reason a bunch of the "safe" fonts are disabled on my machine. Don't know why. Some software update of sorts. No Arial, no Verdana, etc. It happens. And when there's no "sans-serif" generic backup, the browser chooses the default Times New Roman. Ouch. The span is fine. The p is wrong because Ariel is misspelled. The div is also fine, because even though misspelled, there's a generic font family as a backup. The problem with the misspelled font is that the browser drops the value (Ariel) but not the whole declaration (font-family: Ariel). So the body style is still overwritten but with invalid value. As if you did: font-family: initial;. You may think misspelling is too contrived. But hey, it happens. Happened to me. 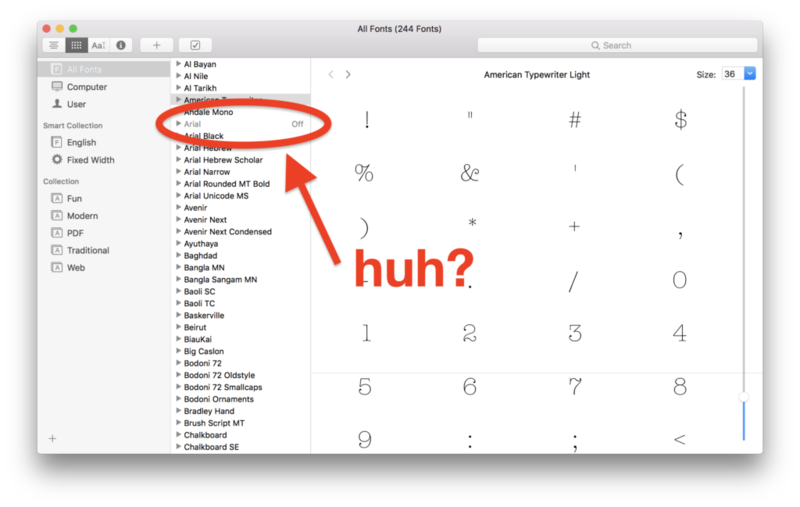 Also happens when you think a fancy @font-face should be available, but for some reason it didn't load. "Helvetica Neue" spelled without a space like "HelveticaNeue" is valid in Chrome. But you get Times in Firefox. Ugh! The only web-safe fonts are the generic ones, namely: serif, sans-serif, cursive, fantasy, monospace. Be safe and always have one of those. Bye!